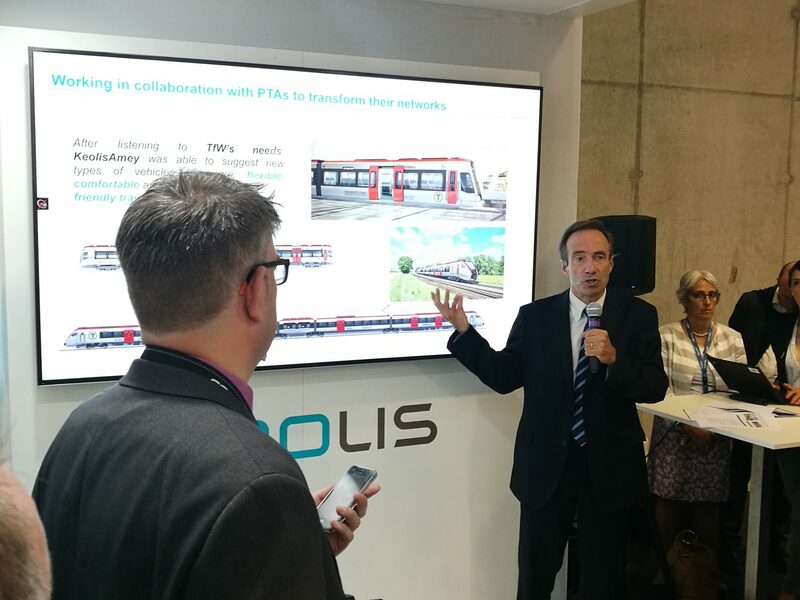 Keolis International CEO Bernard Tabary during a press event at InnoTrans. The chief executive of Keolis’ international business believes managing passenger expectations will be the greatest challenge facing KeolisAmey when it takes over the new Wales and Borders franchise on October 14. Just under £2 billion will be invested in improving passengers’ travel experience, including an £800 million investment in trains, over the course of the next 15-year franchise – Keolis’ biggest ever contract win. As well as the introduction of new trains and the modernisation of all stations, 500 new jobs and 450 apprenticeships will be created, adding to the existing staff of 2,200. Speaking during a press event at InnoTrans, Bernard Tabary said there was a feeling that passengers had been let down for decades but was keen to stress that change won’t happen overnight. With other big contract wins in Qatar, Australia and China, Tabary said that 2017 was a good year for Keolis but he was also encouraged to talk about an area of the business that isn’t doing well. “Our German activities are indeed not money making today, and we are impatient to see them deliver as in line with the other operations of Keolis,” he said during a Q&A session. “We are confident and we are lucky to have earnt enough trust… to sail through the challenges that we’ve had to live through. Our golden number one has been to improve the operational performance, because that is what counts first. “We’ve had a challenging task but we’re on the upward trend. We’re not yet where we want to be but priority number one for us is operational performance. Keolis is active in 16 countries, transporting three billion passengers each year, but has no grand plans to significantly expand its operations, even though opportunities could be on the horizon as certain European countries liberalise their markets. Tabary added: “Indeed, we admire the trend that that these countries take in a direction that we see as a good one. As far as we’re concerned, I said that we were in 16 countries and our plan is not to expand tremendously beyond that.